You know that Switzerland—the land of alps—is famous for its natural beauty. However, there are a lot more things that Switzerland is well-known for. It is home to inventions such as Swiss knife, velcro, and cellophane. And is one of the top tech-savvy countries of the world. As per a survey by Statista, internet penetration will reach 78.98% in Switzerland by 2022. This creates a room for Swiss industries to engage their audience using digital technologies. One way they are doing this is via QR Codes. QR Codes are 2D barcodes that encode alphanumeric information. They are easily readable with a QR Code scanning application installed on one’s smartphone. Hence, their use is soaring with time. To digitize payment system across the country, Switzerland will roll out QR Bill in 2019. 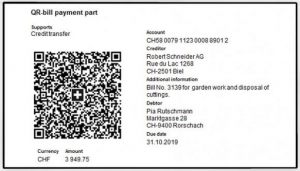 This means each Swiss payment slip and invoice will bear a QR Code. The QR Code on each bill will link to the information needed for payments. With the launch of QR Bills, the Government aims to curb money laundering. And it will allow people make digital payments via TWINT—Swiss mobile payments app. Though cash is the king in Switzerland, mobile payments app—TWINT is venturing into digital payments. 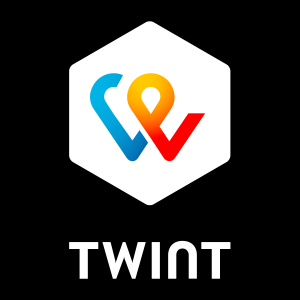 TWINT is the only major mobile wallet owned by Swiss financial service providers. It allows people make payments at both online and brick-and-mortar stores. TWINT features a QR Code that can be used to make payments. All that customers need to do is: open the TWINT app, scan the QR Code, and authorize the payment. Besides TWINT, mobile wallets such as Apple Pay, Samsung Pay, and Alipay are also used to make digital payments in Switzerland. In November 2018, Gustav Gerig—a Swiss food manufacturing company—partnered with Pacifical. 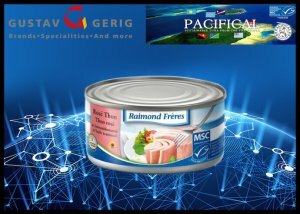 This partnership aims to trace and identify the canned Rose Tuna. Tuna can lids bear a QR Code. This QR Code will link to blockchain viewer website. Here one can access all the information regarding Tuna fish inside the can. The main aim of this move is to ensure transparency, traceability, and sustainability of the Tuna. Today many companies are using QR Codes on their product packaging. These QR Codes link in-depth product details which are otherwise impractical to be printed on limited printing space of the packaging. Switzerland, being one of the technologically advanced nations, is venturing into blockchain technology for multiple uses. One of them is—to make Switzerland Federal Railways (SBB) better. The Swiss Government has strict rules on building railway infrastructure. The Government works with a third-party to check and verify credentials of its railway workers. This ensures that each worker is skilled enough to reduce the risks of accidents common with unskilled ones. So SBB is implementing a new verification system. All the SBB workers have to download uPort app and register their IDs for verification purpose. The app then generates a QR Code having all the information. Workers will have to scan this QR Code and get access to the site. This will help Government save money and workers carry out their tasks more efficiently. Heavy traffic in populated cities makes travelling by car a pain. So many countries across the world, including Switzerland, are using bicycle rental services. 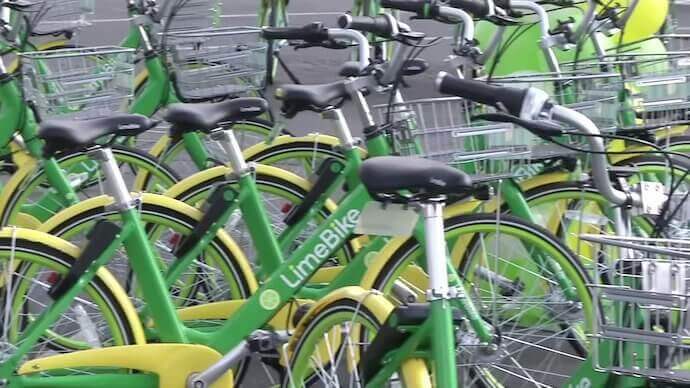 oBike and Lime Bike are the popular dockless bike sharing services used in Switzerland. Murten is the first Swiss city to integrate QR Codes into tourism project. Over twenty monuments and tourist spots in Murten have QR Codes. 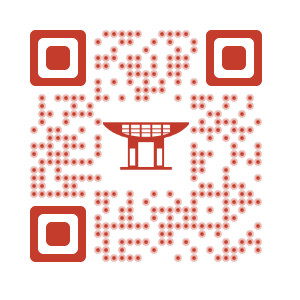 These QR Codes redirect people to Murten Tourism website that provides detailed information about the monument/tourist spot. The project aims to enhance appreciation of Murten’s cultural heritage. And offer better circulation of tourist services. Similarly, many City administrations are using QR Codes at tourist attractions. These QR Codes link to in-depth information as text, videos, images, and even audio files. Switzerland’s National Railway Service (SBB) decided to start selling bitcoins via its ticket kiosks. All that customers only need to have is— a QR Code enabled Bitcoin wallet and a valid Swiss mobile phone number. Customers can use tickets kiosks to buy between CHF 20 and CHF 500. The examples above show that QR Codes are being used for a wide array of use cases in Switzerland. If you’re a marketer planning to run marketing campaigns in Switzerland, QR Codes are your way to go. Know any use case of QR Codes in Switzerland that we missed? Let us know in the comments below.